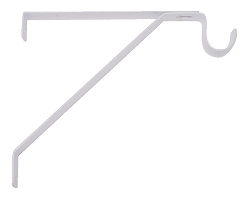 This adjustable shelf bracket supports shelves 11-14in. deep and closet rods up to 1-3/8in. diameter. These shelf and rod brackets feature an enamel finish and are both attractive and functional.